Born in Liverpool in 1817, William Connolly was another local recipient of the Victoria Cross, the highest and most prestigious award for gallantry in the face of the enemy that can be awarded to British and Commonwealth forces. Little is known of his early life, but by the time he was 40, he was serving as a gunner in the Bengal Horse Artillery of the Indian Army during the Indian Mutiny. The incident in which he won his VC occurred on 7 July 1857 at Jhelum, British India (now Pakistan). William was acting as second sponge-man, a vital role involving clearing away smouldering fragments from a recently fired gun to prevent premature explosions while it was being reloaded. The danger was extreme: this type of artillery had to be positioned at close range to the enemy to be effective, and the firing procedure was complicated and risky. When a musket ball tore through the muscles of his thigh, William suffered heavy blood loss and was in considerable pain, but refused to leave his post. Later that morning he was hit again, but continued with his duties until a third wound left him unconscious. He was awarded his VC in February 1859 in India. William’s later years were sadly less glorious. Living in extreme poverty in Liverpool, he was forced to beg for food and even had to sell his VC to survive. 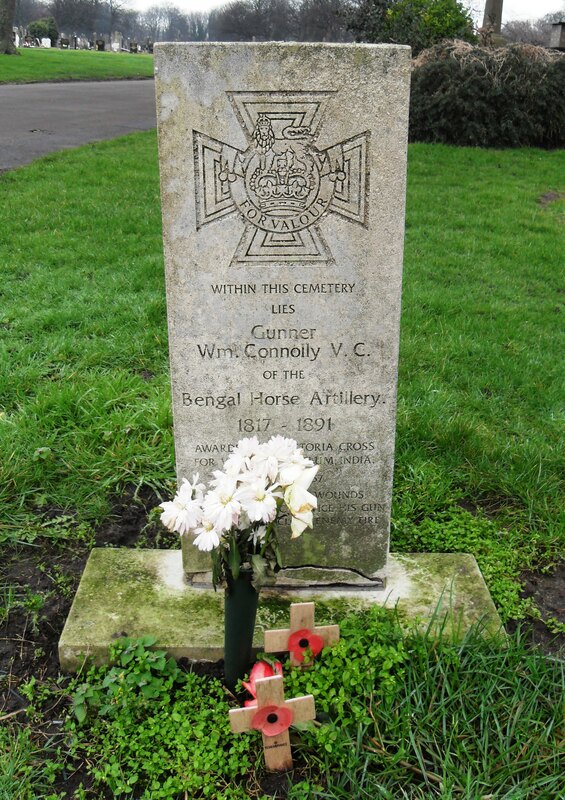 On his death at the age of 74, he was buried in a paupers’ grave at Kirkdale Cemetery, Liverpool; but a headstone recording his VC was erected in the 1990s close to the exact location of his last resting place. He is also remembered on the memorial at Royal Artillery Chapel in Woolwich, London and on the Liverpool Victoria Cross memorial in Abercromby Square in Liverpool. His medal is on display in the British in India Museum, Lancashire. 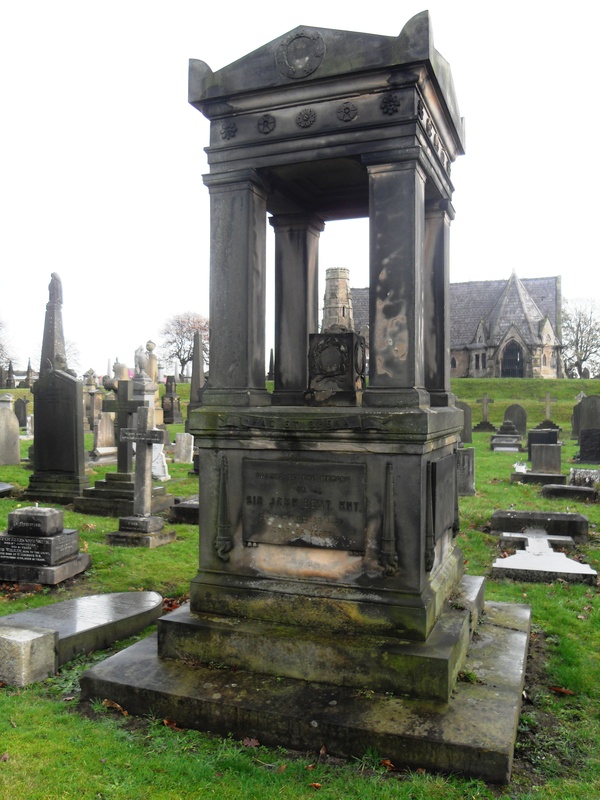 Nestled within Toxteth Park Cemetery is a memorial to Sir John Bent MP. This was one of the cemetery’s earliest monuments and is Grade II Listed. It was designed in the Classical Revival style – with Doric columns and wreaths – at a time when Gothic styles were becoming more fashionable. Sir John was born in 1793 and was the owner of Bents’ Brewery. He also held the office of Lord Mayor of Liverpool from 1850-1851. This title has been in existence since King John founded the area of Liverpool, granting it the status as an official town by Royal Charter in 1207. It’s not to be confused with the more modern office of elected mayor of Liverpool! He had the honour of being knighted at the Town Hall by Queen Victoria on her visit to Liverpool in October 1851. The local paper recorded the event as having “much pomp and splendour and the streets thronged with people”. Sir John died on 13 August 1857 at the age of 64. His portrait, painted in 1855 by John Phillip, can be seen at the Walker Art Gallery in Liverpool, or here on the BBC website. 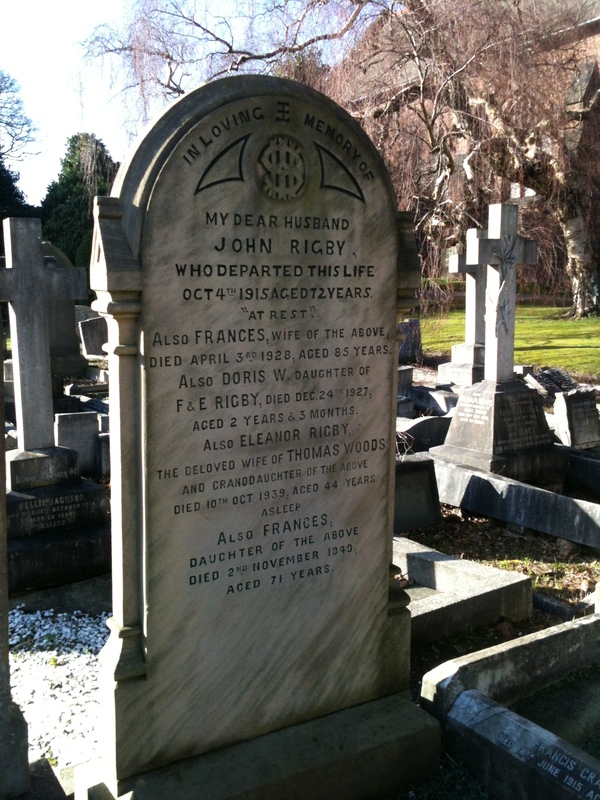 Whether or not she was the real inspiration behind one of The Beatles’ most famous songs, an Eleanor Rigby really did live and die not far from where John Lennon and Paul McCartney grew up in Woolton, Liverpool. And her burial place is at the same church where Lennon’s first band, The Quarrymen, played at the Woolton Village garden fete and where Paul and John would later sunbathe in the graveyard. There are no surviving photos of this Eleanor, but we know she was born Eleanor Whitfield on 29 August 1895, at 8 Vale Road, Woolton in the home of her grandfather, John Rigby. Her father died while she was young, and it appears that Eleanor took the Rigby surname to prevent the line dying out. Her mother remarried when Eleanor was 15; and she doted on her two half-sisters Edith and Hannah Heatley. She spent her youth helping her mother with the children and her work as a laundress. Eleanor only married relatively late in her life, at the age of 35, to Thomas Woods a railway foreman who was seventeen years older than her. Sadly, she found that she was unable to have children. One month after the outbreak of World War II, Eleanor died of a massive brain haemorrhage at the age of just 44 and was “buried along with her name” in St Peter’s Parish Church, Woolton. Her half-sisters Edith and Hannah lived out the rest of their lives in the family home, but never married and died within a month of each other in 2001. 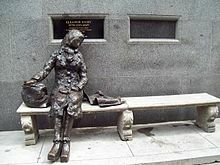 So she may or may not be the ‘real’ Eleanor Rigby, but her memory lives on and her family’s story echoes some of the loneliness and isolation of the lyrics of the famous song. Her grave has become a pilgrimage site for Beatles fans across the world and featured in the 1995 video ‘Free as a Bird’. This week, we feature Norman Harrison, a Liverpool ship’s engineer who was lost at sea but died a hero, saving others’ lives. Assistant Second Engineer Norman Harrison was one of over 1,500 people who died when RMS Titanic collided with an iceberg and sank on 15 April 1912 on her maiden voyage. Born in Liverpool on 15 September 1873, Norman apprenticed in the running, fitting and drawing office of Messrs Higginson & Co from the age of 16 until he was 21 years old. Having completed his apprenticeship, he joined the line of Messrs Elder Dempster & Co as a 4th engineer, later being promoted to 3rd and finally 2nd engineer. After serving on several ships belonging to the White Star line, he signed onto the Titanic in Southampton on 6 April 1912. On board the Titanic, Norman was part of the engineering crew, which was responsible for keeping the ship’s engines, generators and other mechanical equipment running smoothly. Engineers were some of the highest paid crew members on board because of the technical expertise they needed to fulfil this role. When the ship began to sink, the engineers along with electricians and boilermakers stayed below deck and made repeated valiant efforts to keep the ship afloat. 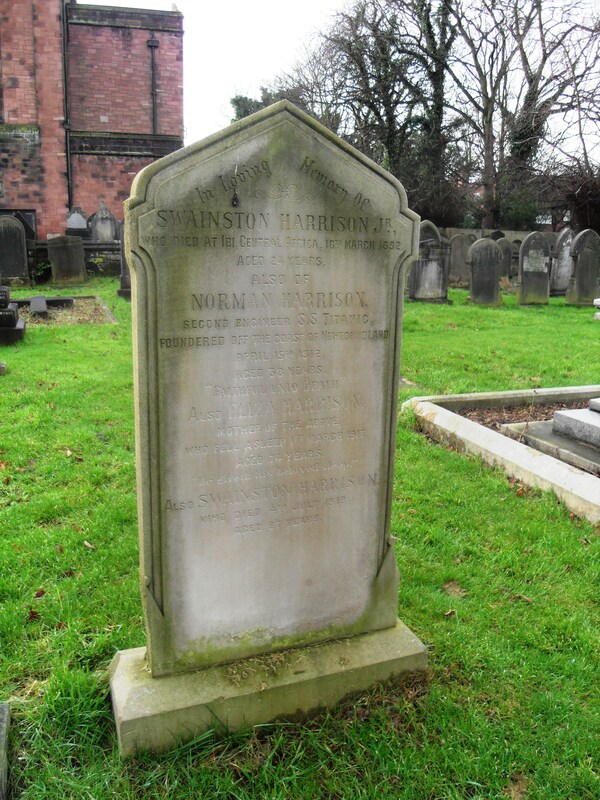 Sadly, Assistant Second Engineer Norman Harrison was lost along with all his colleagues when the ship went down. But it’s thought that their actions in trying to keep the ship afloat gave others time to get nearly all of the lifeboats launched, which helped save the lives of the survivors. Norman left a wife, Mary. His body was never recovered, but his name is recorded on a grave in Knotty Ash Parish Church Cemetery. He is also remembered on a number of memorials, including the Grade II* listed Memorial to the Engine Room Heroes of the Titanic, a granite memorial in St Nicholas Place on the Pier Head in Liverpool.